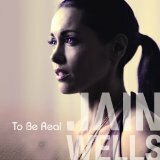 Working with producer Greg Fitzgerald, Jain Wells has come up with an echoing, ambient sound that gives her debut album an ethereal, other-worldly quality. But there’s nothing airy-fairy about her lyrics, which are thoughtful, eloquent musings on love, loss, moving on and taking the positive from every event and encounter. If that sounds ominously didactic, To Be Real is far from being an extended homily on the human condition. Canada-born and now living in London, Wells has a PhD in Transpersonal Psychology but she wears her years as a therapist lightly. Many of these songs are candid, very personal responses to accumulated experience, and even when the material gets dark (check out the underlying sadness of “Holiday”, a study of betrayal), it is lifted and carried away from the abyss by some sparkling, beat-driven arrangements. “Look into the Mirror” epitomises Wells’ look-life-square-in-the-eye attitude. “Tonight” embraces similar themes: live for the present and be guided by your own inner truth. “Out of the Fog” finds her emerging from crisis, cleansed and ready for new emotional experiences. Her imagery is complex but always looking upwards and forwards rather than trading on negative legacies. It makes her company less anguished than most of the female singer/songwriters currently dominating the charts. Wells has an interesting vocal timbre, reminiscent of Carly Simon, which commands attention without ever sounding forced or strident. It suits the individuality of her material as she exhorts the listener to question themselves and take responsibility for the answers they find inside.